PS: An apology to my first readers who got my false friend translation, as in French the painting is called Le Cri – hence my Cry. 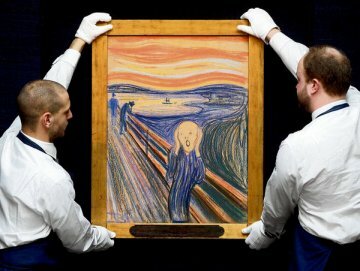 In French too it means “the scream”… can’t think for now of a better title to this post however! Previous Post My “oil sticks” page is done! Next Post Gouache… a cheap paint only for kids?